It's always the right size, you can never have too much gelato and it always makes everyone smile. We also have a gift card for a tasting flight of gelato. It makes for a great date. Four different flavours of gelato are serve on a wood paddle. A gift that keeps on giving all year round. 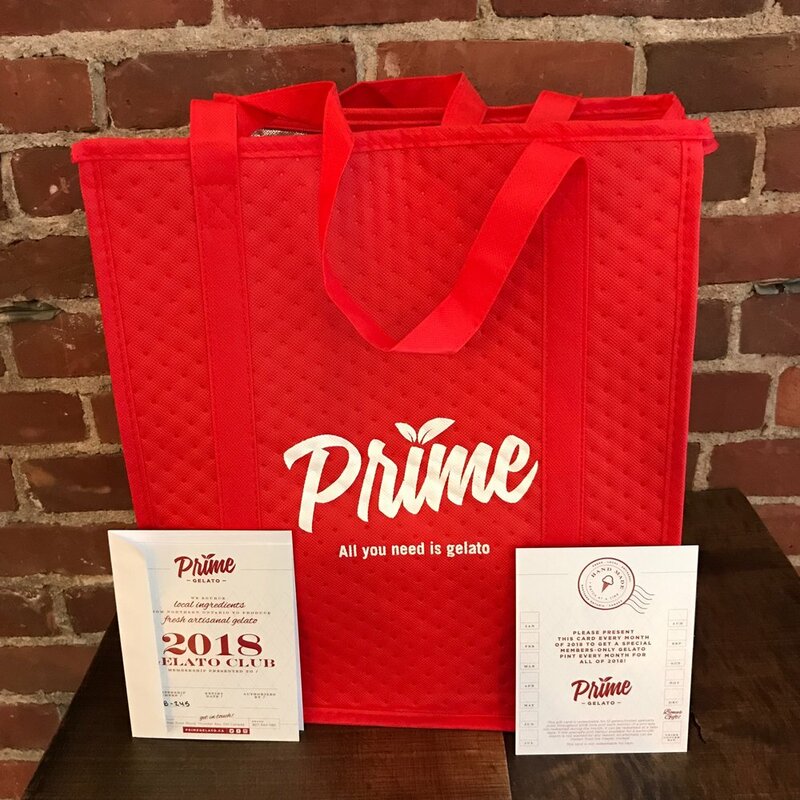 The membership includes a Prime branded insulated cooler bag and a total of 12 pints over the course of the year. Every month we release a brand new fun flavour just for our club members.